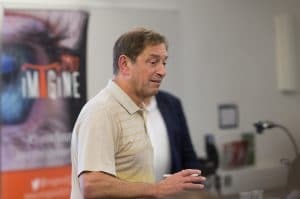 Guy Standing is famous as the author of The Precariat, but he is also the world’s foremost advocate for universal basic income, the writer of aprodigious canon of economic and social books and the leader of a successful trial of basic income in poor villages in India (where there is strong interest in introducing it). 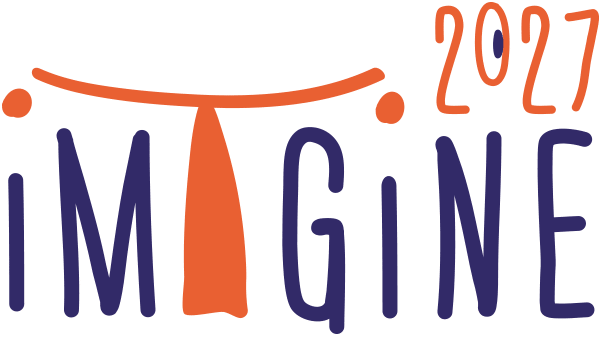 His talk on basic income in the Imagine2027 series was a tour de force, a passionate and theatrical performance, brimming over with ruthless policy proposals, incisive insights and asides and a sarcastic contempt for our corrupt government and its predecessors. As someone who has read through many of his books, it was a revelation to hear and see his words ‘made flesh’, and made me aware of the extra dimension to the ideas and arguments of the Imagine2027 speakers that their presence and personalities bring to the lectures. Guy’s starting point was 2019 under an imaginary new government that was carried into power by a powerful shift in popular opinion that had rejected the failed policies of decades of New Labour and Conservative rule and created a ‘new politics of paradise’ sustained by people recognising their essential unity. Standing’s point was that the universal basic income, a regular and unconditional payment for everyone in the country, was not a stand-alone policy, but was the centrepiece of a wider set of initiatives. He said the main objection to the basic income that he invariably met was that it was unaffordable. But not if government tax and fiscal policies, subsidies to business, big land-owners, and so on were reversed and augmented with new taxes. So he proposed the abolition of tax reliefs which cost the Treasury over £400 billion a year, the introduction of land-value tax, taxes on financial transactions and rent income, etc. And at the same time the creation of a sovereign capital fund, as in Norway, to shore up the public finances, governed by a rule that it should always allow for future generations when drawn on. One remarkable facet of the recent celebrations of Magna Carta was that the Charter of the Forest, the companion declaration that asserted the rights of free men of access to the forest for grazing, foraging for food, collecting firewood, etc, was entirely ignored (though not by Cambridge Commons, our conference debate on Magna Carta contained a full discussion of the charter, the commons and public realm). Standing recounted he had taken part of celebrations of the Charter of the Forest and helped prepare a new Charter of the Commons to be published shortly. This is a significant initiative which has a strong contemporary significance; as Wikipedia comments, ‘In contrast to Magna Carta, which dealt with the rights of barons, it restored to the common man some real rights, privileges and protections against the abuses of an encroaching aristocracy’. It is perhaps possible that the Labour Party could develop its policies to produce a vision of the commons, or public realm, that transcends its statism. Actually there was so much else in Standing’s talk that I would like to be able to pass on, his denunciation of means-testing, the cruel behavioural rules for people on benefits and universal credit; of qualitative easing, a huge subsidy for bankers; and of the cheap sale of oil and gas exploration rights to major energy corporations and the subsidies which continue to this day. There was also the idea of ‘ecological’ work – far wider than merely paid employment – which encompasses all manner of care and domestic labour; and of need to recognise the value of ‘time’ in people’s lives and the oppressive way it is intruded upon. But anyway, Guy, a great evening. Thanks.